Save yourself the headache of building, programming, troubleshooting and tuning with a ready to fly custom Lumenier QAV250. This build uses the newest carbon fiber Lumenier QAV250 v1.1. 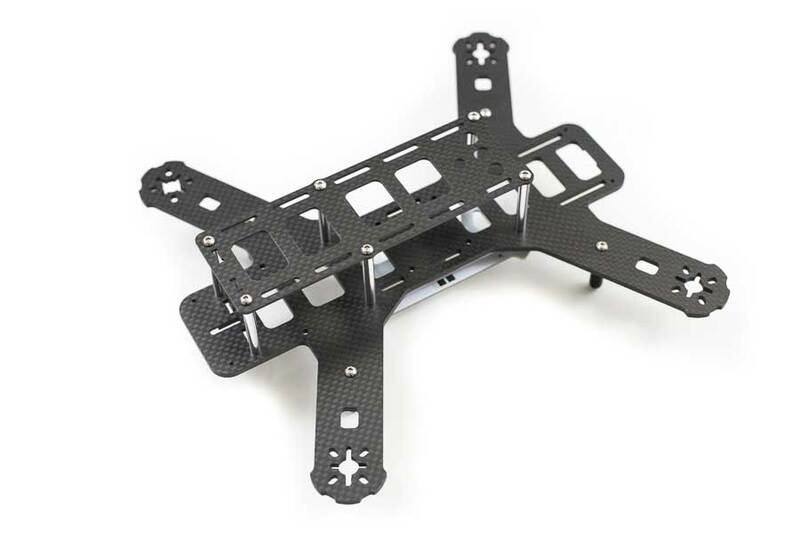 This frame doesn’t have the extra cutout in the arms and has more carbon fiber on the arms. This quad can be built with 2100kv or 2300kv motors. Both can be set up to run 3s or 4s. The 2300kv are good on 3s with any props and 4s up to 5045 props. If you go any higher on the props it will really shorten the flight time. The 2100kv, if running 3s would need at least 5040 props. It will be pretty slow on 3s, 5030 props. The 2100kv are really made for 4s batteries and can run ultra high thrust props up to the 5050 tri-blade bullnose props. This is scary fast. The OSDoge board will be used in this build. It will display your voltage, low battery alert, RSSI, flight time and many other useful info on your screen. RSSI (radio signal strength indicator) is great for making sure you always have control of your quad. The OSDoge will let you tweak your PIDs right from your goggles. *Misc items include heat shrink for the ESCs, XT60 power cable, motor/power cable wire wrap, buzzer, M3x5 motor screws, header pins, nylon standoffs for the Naze32 and all the other small items needed to complete the build. **3D Crash Pack includes adjustable FPV camera mount, d4r-ii mount, motor guards, Firewall, video transmitter shell and PDB spacer. There’s a big difference between the FlightClub RTF QAV250 vs the Getfpv RFT QAV250. 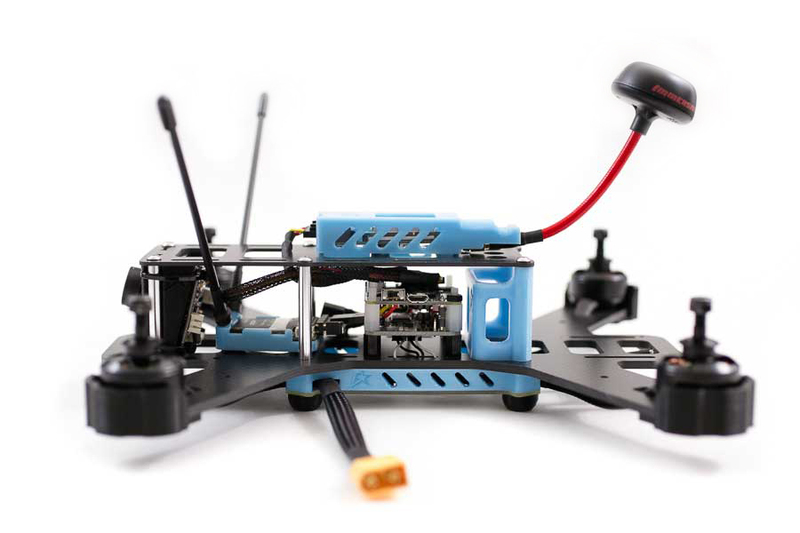 FlightClub RTF is a true ready to fly that includes a receiver and full FPV setup with OSD. All that’s needed is to bind it with the Taranis and put in a battery. The GetFPV RTF you still need a receiver, FPV camera, Video transmitter and Spironet antenna (optional). So to add these to the GetFPV RTF with OSD would be an additional $265. So the FlightClub RTF cost less and includes better parts and has more parts.